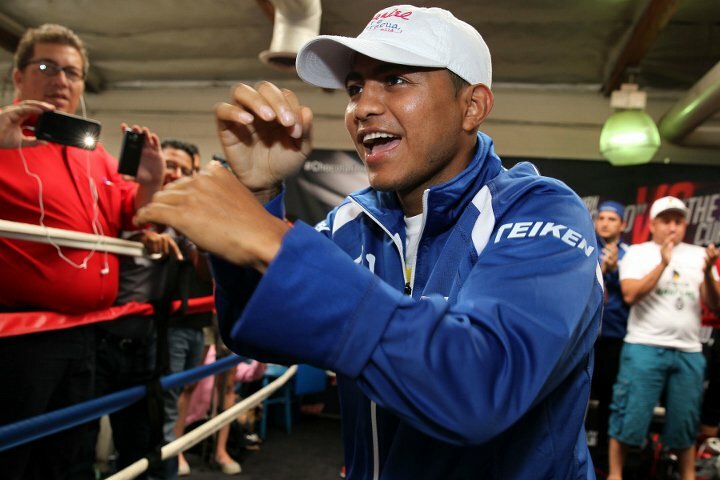 Costa Rica Sports – Former four division world champion Roman “Chocolatito” Gonzalez will hold the next phase of his training camp in Costa Rica, lasting approximately one month, confirms his manager Carlos Blandon. Roman has had more than a month of training at the Roger Deshon gym in Nicaragua, supervised by Gustavo Herrera and Alfredo Corrales. He currently weighs under 130 pounds and is said to be in great shape. Gonzalez and his handlers are hoping to return to the ring on May 5th, as part of the card which is going to feature a main event with middleweight king Gennady Golovkin fighting a rematch against Saul “Canelo” Alvarez at T-Mobile Arena in Las Vegas. Gonzalez is looking to bounce back after suffering back to back defeats to WBC super flyweight world champion Srisiket Sor Rungvisai of Thailand. At one time rated as the best pound for pound boxer in the world, Gonzalez (46-2, 38 KOs) lost a twelve round decision to the Thai puncher. In their fall rematch, Gonzalez was brutally knocked out in four rounds. After some soul searching, Gonzalez has decided to stick around in the super flyweight division. He was offered the opportunity to take part in last month’s Superfly card in Los Angeles, in a potential fight with WBA world champion Kal Yafai, but Chocolatito felt it was way too soon for that contest. Now they are hoping that Cinco De Mayo weekend will be their comeback path – as long as Canelo is cleared by the Nevada State Athletic Commission to face Golovkin. “May 5 is a date that has interested us a lot, but nothing is confirmed yet. What we have is a lot of faith so that Roman can return to that card. That´s why we will move the camp to Costa Rica, which is where he has previously found very good conditions in which to train,” said Blandón.